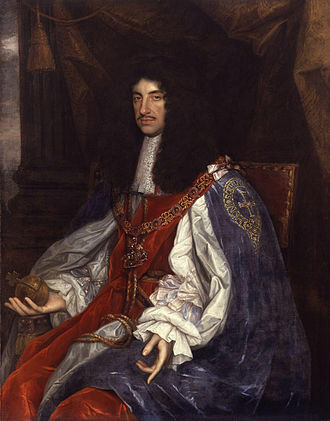 In his own words, Sir Robert Merivel is “the son of a humble Glovemaker from Vauxhall, and I had prospered in life only because I had a talent to amuse the King of England.” But if Merivel, as even his lovers call him, owes his success to the self-deprecating wit with which he makes Charles II laugh, no reader will hold that against him. Indeed, Merivel appeared in Restoration, where he received such good notices that Tremain brought him back for an encore. But such are our days. Such are the days and times of Every Man and, no matter how hard we work and strive, we can never know when something shall be given to us and when it will be taken away. However, Merivel has trouble living up to this creed and being satisfied with what he has. He has a sweet, loving daughter, to whom he’s very close; his profession as a doctor, which he practices with a clarity and honesty seldom seen among his colleagues; and the chance at a love more profound and satisfying than any he’s ever experienced. But whether he can be content with these most human of riches forms the core of the novel. And since, as Ecclesiastes says, there’s nothing new under the sun, Merivel’s story is as old, and yet as topical, as can be. Likewise, I think that artifice, foppery, and pretension plague our age much as they did Merivel’s, so he seems familiar there as well. He wrestles mightily with his worst tendencies, which include self-pity, impulsiveness, and skirt-chasing. Yet if he often fails to master them, he has a good heart and can draw people to him simply by being himself. Much of this great gift comes from his empathy for self-delusion, and his grasp of the particularly sharp pain that comes when you think you’ve “held Wonder in your hands,” as the king puts it, only to lose it when knowledge strips the illusion away. This is one quality that makes Merivel such good company. Another is the prose, which captures the time and place. Tremain gives you the seventeenth century, unvarnished, filthy, and invigorating, whether she’s describing the lice in the wig or the sublime country air or the witty conversation of intelligent people trying to grasp the science of their age. I’ve never read a description of Versailles like hers, both funny and appalling, or the grisly aspects of hospitals or inns, with quite that edge. Finally, she’s drawn a delicate, often moving portrait of a friendship between king and commoner, which ends in just the way it should–I dare not say more. Merivel is the first novel of Tremain’s I’ve ever read. It won’t be the last.